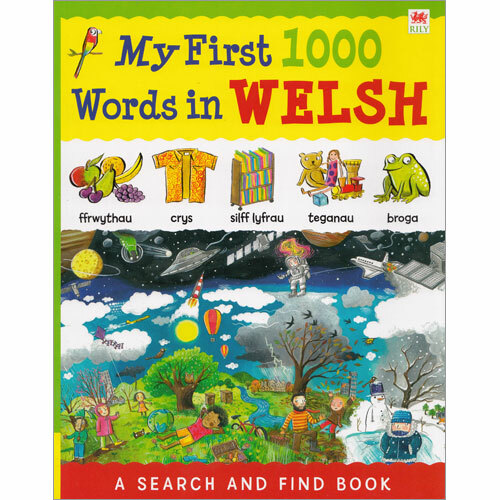 My First 1000 Words in Welsh is a fantastic introduction to essential Welsh vocabulary for young children. All of the words are illustrated in fantastically detailed 'search-and-find' scenes, with lots to discuss. 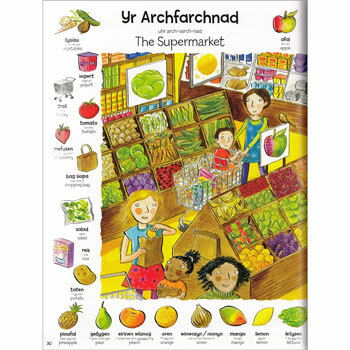 Each picture is labelled in both Welsh and English and is accompanied by a pronuncation guide to help English speakers to say the words in Welsh. 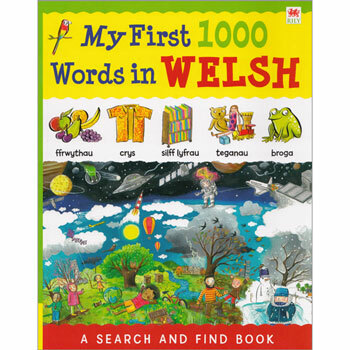 There is a full English-Welsh and Welsh-English word list featured at the back of the book. Aimed at ages 3+ (Early Years, Key Stage 1 and Key Stage 2).